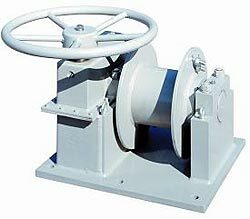 BRT Marine is pleased to supply Parker Towing Winches. Marketed under the Parker name but owned by Nabrico, the Parker line will benefit from the added support of Nabrico's commitment to quality, inventory practices, commitment to product improvement, and customer service. An electric model is now offered that allows all manual units to be retrofitted. DF-500 S.TONS LBS. LBS. LBS. LBS. FPM IN. IN. IN. 1/2 5/8 3/4 7/8 HP LBS. 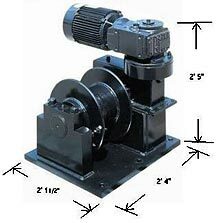 Winch, 25 Ton, Nabrico Parker, LH, Electric Control Box not included. Control Box for Nabrico Parker 25 ton Electric Winch. Note that this Control Box is not included as a component of an electric winch. It must be added separately.